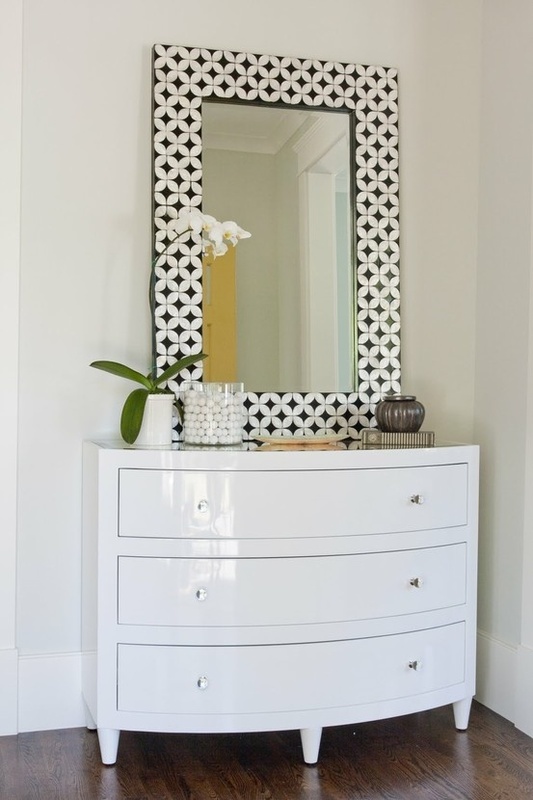 A huge trend for this Spring is the black and white trend. 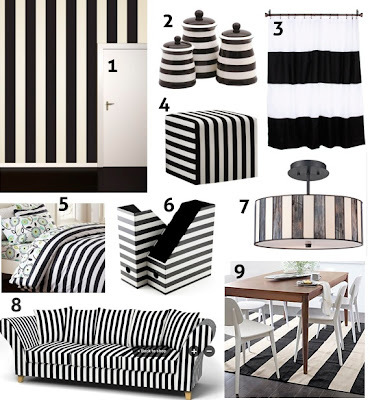 I thought it would be fun to show you guys some ways to incorporate the black and white trend into your home decor. Love this mirror. 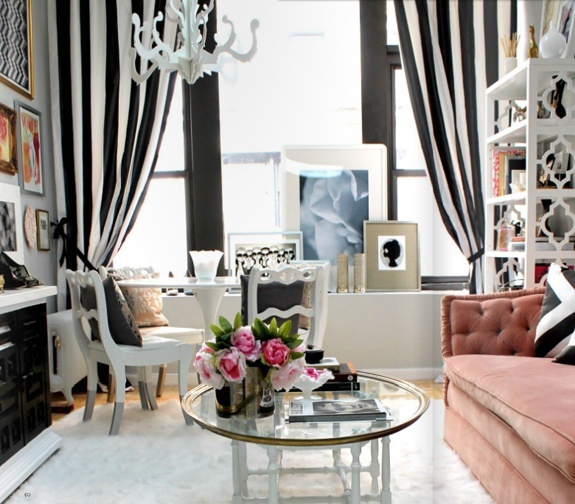 It adds a touch of the black and white trend without going overboard. The curtains and pillows add a bold touch to an otherwise feminine/airy room. I love the black and white striped accent wall, especially with the wainscoting on the bottom half of the wall. 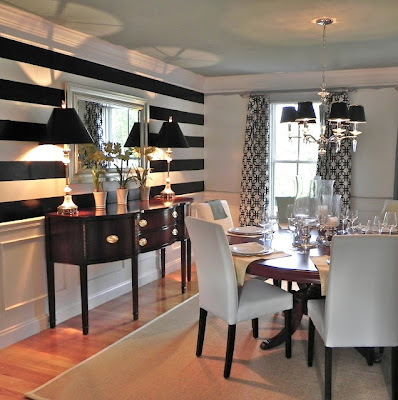 I also love how they incorporated the black and white trend in the curtains and light fixtures in a more subtle way - which makes the stripe wall stand out yet still look cohesive. 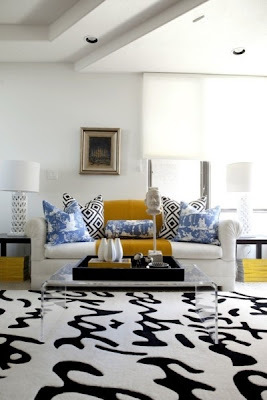 I love the black, white and yellow accents in this room. I love that the black and white trend is all patterned items while the yellow is incorporated in a solid pattern - which makes it less busy and distracting. 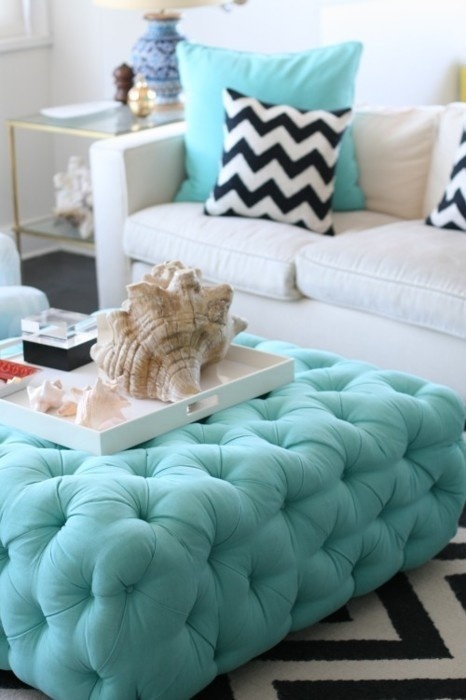 I love the chevron print pillows and rug - the perfect accents for an otherwise beachy themed room. 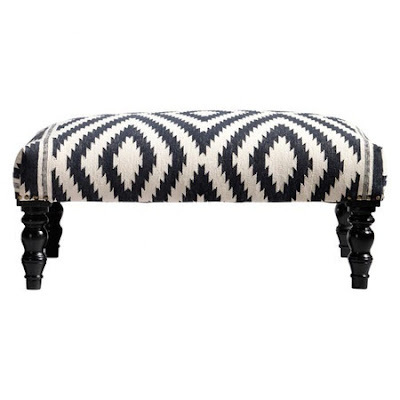 I love the black and white ikat print ottoman. 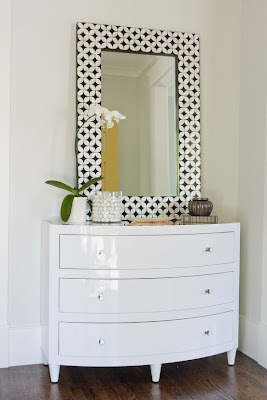 If you wanted to incorporate the black and white trend into a room, this might be the easiest way to do so. Love it. Lastly, here are a bunch of different black and white ideas for any room - from wall paint, to desk accessories, to shower curtains, to bed linens, to couches, to rugs, to light fixtures and decor items. I love that this trend can be incorporated in very different ways. If you're not sure your going to like the trend, try stick to adding some accessories instead of big furniture pieces. That way if you end up getting sick of it, you haven't invested too much into it. However, I think it's safe to say that this trend is going to be around for a while and I may even venture to say it's quite a classic/never go out of style look.